This six by four metre stand has a main wall that features an overhead section which is underlit with led spotlights. 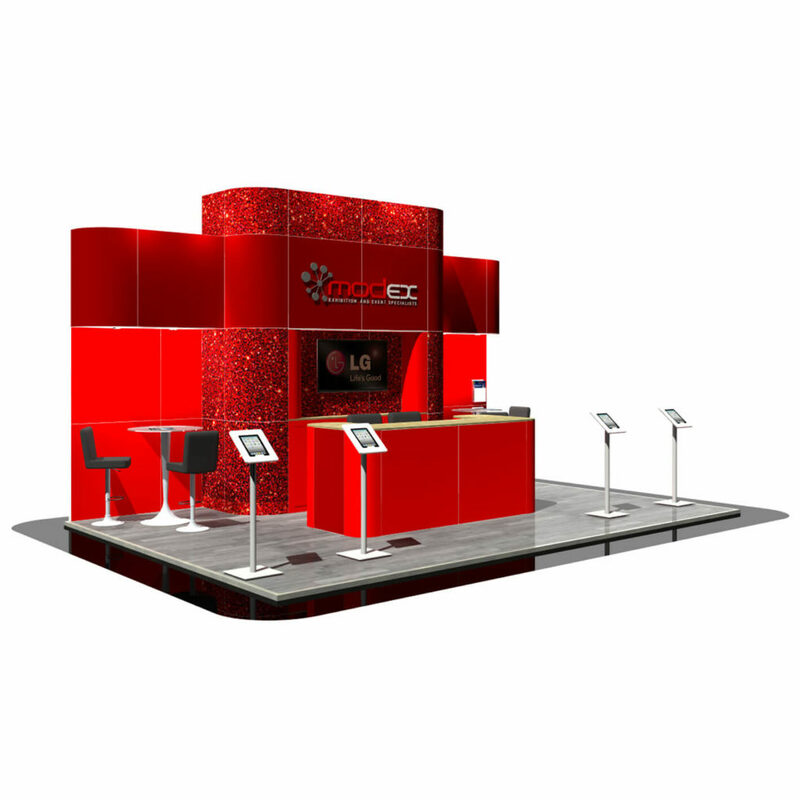 To give the stand more impact, it has a prominent centre column with a recessed area, this includes a large display screen and 2 lockable cupboards. Neatly positioned in front of this is a bar styled counter for meeting and greeting clients. The stand also includes 2 seating areas on either side of the centre column. To complete the stand there are 4 freestanding ipad stands.